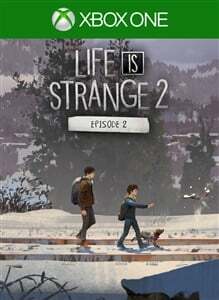 When Life is Strange 2 Episode 2: Rules was released nearly three months ago, developer Dontnod confirmed that individual episodes would not be available to purchase separately. However, they did confirm they were monitoring the situation and were "considering ways to make things right". It turns out the way to make things right was to make the episodes available for separate purchase. "Episode 2: Rules" is now available for separate purchase through the panel below; like the game's first episode, it will cost US$7.99/£6.79/€7.99. All future episodes will also be available to purchase separately. 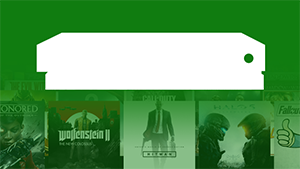 Alternatively, players can still buy the full game, buy the season pass for Episodes 2 to 5, or wait for the episodes to be released on Xbox Game Pass. "Episode 2: Rules" is due to be released on Xbox Game Pass on April 24th. "Episode 3: Wastelands" is due to be released next month. The episode continues the story of the two brothers a few months after the events of Episode 2. If you want to know more about the events of the upcoming episode, click on the spoiler and take a look at the teaser trailer. If you don't, you might want to skip that bit. *** Spoiler - click to reveal ***Sean and Daniel Diaz’s journey to Mexico continues in Episode 3, a few months after the events in Episode 2 and the boys’ escape from Beaver Creek. The brothers experience life on the fringes of society, as they befriend a close-knit community of drifters and runaways, and become embroiled in the illegal cannabis trade among the towering redwood forests of California. Sean and Daniel’s resolve is put to the test once again, as new relationships create friction between them and they both learn much about who they are as individuals. Uncertain about their once united purpose, can they stay together, or will their journey together end here? "Episode 3: Wastelands" will be released on May 9th. This will be followed by Episode 4 on August 22nd and Episode 5 on December 3rd.